A classic two pocket tweed waistcoat styled with lapels, available in pure wool tweeds in sizes 38” to 50”. 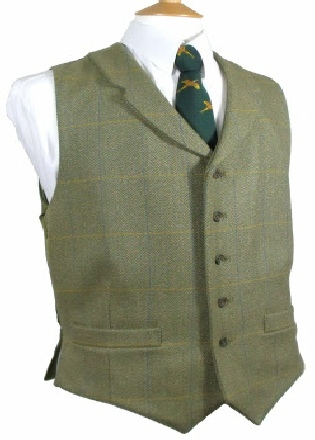 The waistcoat is pictured here in a tweed that has been discontinued and is unavailable for ‘Made to Order’ sales. Please click the view tweed button below for available tweeds.